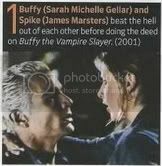 I'm a SlayAlive moderator and a mondo Buffy fan (you've probably seen me around various Whedonverse forums). This is mostly a fandom journal with the occasional personal post. My fandoms include: Buffy (mostly Buffy), Angel, Veronica Mars, Castle, True Blood, Mad Men, Community, The Vampire Diaries, The West Wing, Terminator: The Sarah Connor Chronicles, Doctor Who, Battlestar Galactica, Caprica, Dexter, The Closer - eh, there are probably more, but these are the only shows I bother to do more with than just watch the shows. Meta discussion of Buffy, Angel, Dollhouse and Mad Men. I'm an unabashed Buffy Season 8 (comics) fan and the focus of my journal reflects this. Discussion exploring the writing process. Recommendations of fanfiction, fan videos and meta I've enjoyed. General squeeage over my other favorite shows. And here's an EXPLOSION of pretty fanart that I've collected. I kinda overdid it here, but points for enthusiasm, right? Header banner by effulgent_girl. Love bars, Sidebar Animations and Buffy Moodtheme by easy_to_corrupt. Chosen "Are You Ready to be Strong?" and Not Fade Away banner by CowboyGuy. Fire Back banner by Rebecca. 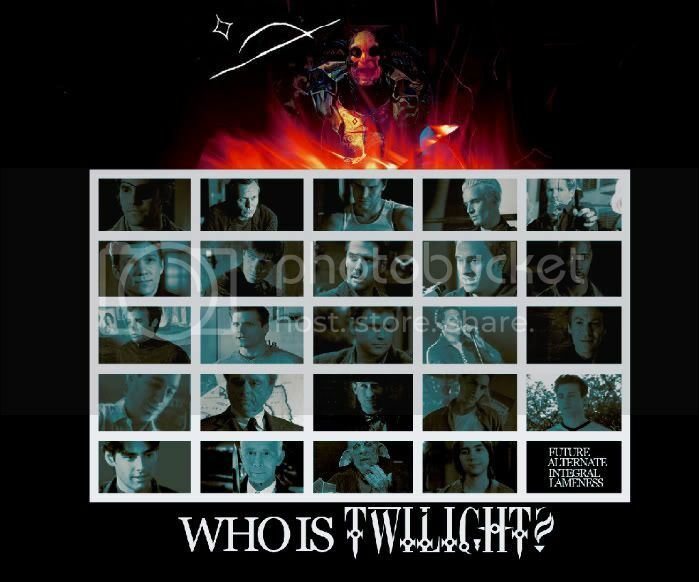 "Who Is Twilight?" wallpaper by EndersWrath. Buffy "Click" banner by me. Buffy Seven Seasons Drawing by Scotty. Victor and Sierra header and Spuffy wallpaper by amyxaphania. Don and Joan & Don Winking gif (Mad Men) art by anyohyeb.